I have to say, there is nothing quite like springtime in November, and that’s the kind of weather we had today in Maine. It was glorious, and I spent the better part of my morning puttering in and around my new greenhouse in which the temperatures were more like summer, even with the door open. Greens such as spinach and kale have become an integral part of my husband’s and my diet, and paying a small fortune for them during the winter (even those that have probably been inundated in pesticides) really annoys me and my pocketbook. Couple that with the knowledge that the greens probably traveled halfway around the world (or at least from Mexico) and I was ready to try growing my own winter crop after hearing of the success a neighbor had been having for the past two years with a greenhouse similar to the one above. 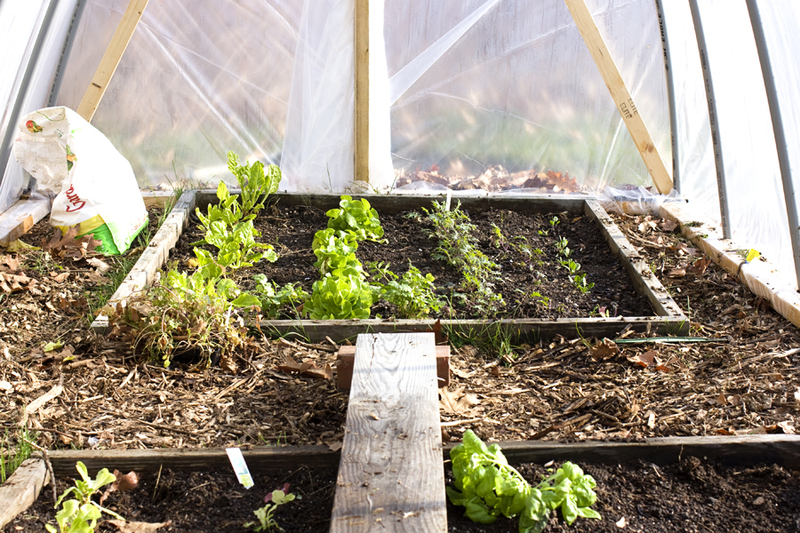 Having successfully created an addiction to greens in my husband, he was very willing to try his hand at constructing an inexpensive greenhouse that could be settled on top of a couple of small, four-foot by four-foot garden beds. I love that man and I’m very grateful for the handy-man talents God has bestowed on him! The door of the greenhouse faces west, so one long side has a southerly exposure while the north side is sheltered by our barn which is about ten feet away. 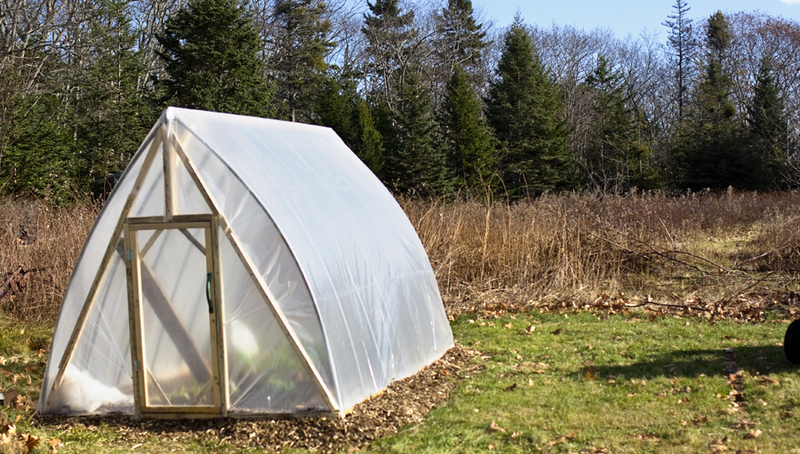 There are still a couple of improvements we have to do including putting a gasket or wind barrier around the door and some duct tape partway down the sides inside to allow condensation to drip back into the garden rather than run down the sides. In the rear garden I have rows of swiss chard, butter lettuce, and cilantro, which I purchased from a local greenhouse, Moose Crossing, several weeks ago, and some kale and spinach, which I started from seed a month or so ago . 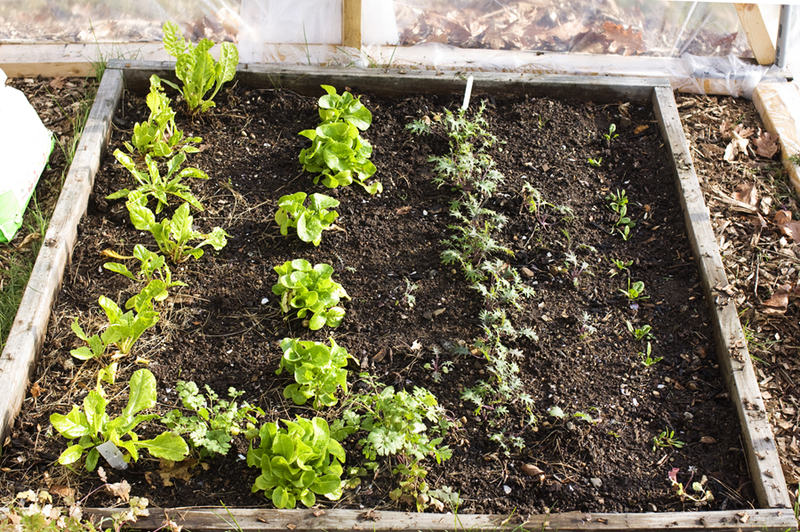 In the forward garden, I have some more lettuce, some mesclun, basil, and today I planted some more spinach and beets to see if it is possible to grow from seed this late in the year. We have had a few days where the temperature dipped down to 20 degrees Fahrenheit even inside the greenhouse and all of the plants were completely coated with frost, but they bounced back without any damage. We may find we have to run a small space heater out there during the real cold snaps. The chard and the lettuce are doing very well and I’m hoping I will be able to harvest some in 2 or 3 weeks. The kale is really starting to take off but it may be another month before I can harvest it. Maybe I will be pleasantly surprised and be able to pick some sooner. I will keep you all updated every few weeks on the progress. I’m looking forward to setting up a beach chair between the two plots and enjoy my little green oasis in the midst of the New England winter. Love this! I have ben asking for a greenhouse for a couple years. This looks great, keep up the good work! Thanks, Addie. 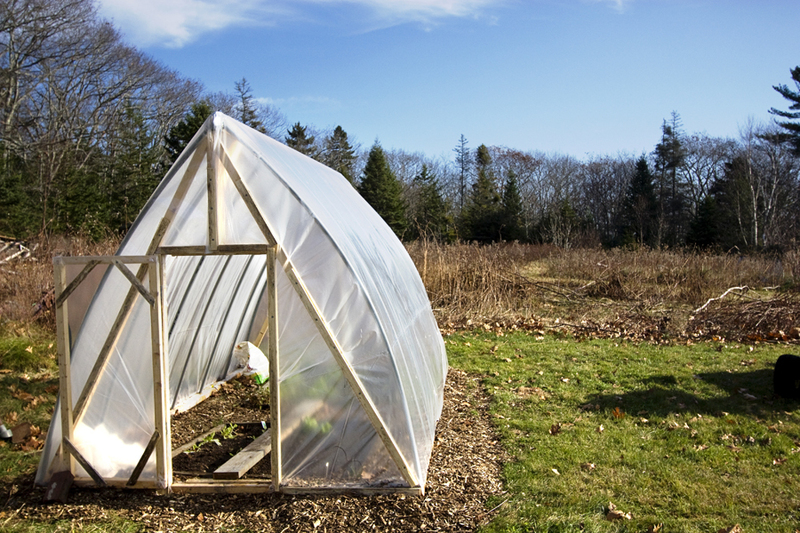 Once we see how well this design survives the winter nor’easters, maybe I’ll put up some more specifics on how he built it.